We provide consulting, development and maintenance services for the server side component of an Android Marketplace developed with Drupal, which is handling content management and ecommerce operations. We are proud to support again the Romanian Drupal community with organizing its major 3rd event. 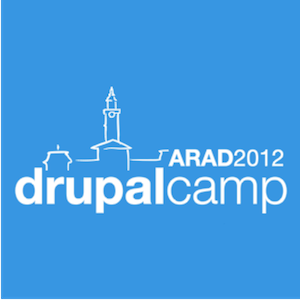 Webikon is joining Drupalcamp Arad 2012 as a gold sponsor. Together with my partner, Gabriel Dragomir, we were involved from the very beginning in the Romanian Drupal community by founding the Drupal Romania Association and organizing the first two camps in Timișoara (2010) and Bucharest (2011). Munich, here we come! We are ready for the great bavarian Weisswurst, Brezel und Bier. 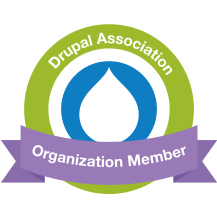 But moreover it is the great Drupal Community that is bring us there, between 20 and 24 of August 2012. "Basics of Developing with Drupal 7" is an open training to be delivered in Bucharest during 21st and 22nd of April 2011, that will provide you with a solid basis for web application development using Drupal 7 CMS. After the first day of training, you will be able to build and customize a basic Drupal website. The second day will introduce you to advanced techniques for content and user interface building. This is an interactive training, as 60% of the training sessions are "hands-on" activities. Between 22 and 26 of August 2011 I will attend Drupalcon London 2011. I'm returning to London after 12 years. This time I'm joining the (already) famous biannual event of a great community of enthusiasts and professionals: The Drupal Community. Read more about Drupalcon London 2011. Watch right!